As the journey of Manhattan Sideways continues, and we wake up early to begin our walking, we have come across many side street spots serving, and even specializing in, breakfast. On the mornings when we are able to slow down just for a moment and nourish ourselves properly for the day, we delight in ordering from either an extensive menu of pancakes, eggs, bacon, hash browns, muffins – the whole nine yards – or just a simple bowl of granola, or even a smoothie to take on the go. The side streets do not disappoint when it comes to breakfast – the most important, though perhaps often under-appreciated, meal of the day! For those mornings when there is time to read the paper and have a leisurely breakfast before tackling the day. A family-friendly eatery serving traditional Ukrainian comfort food since 1954. 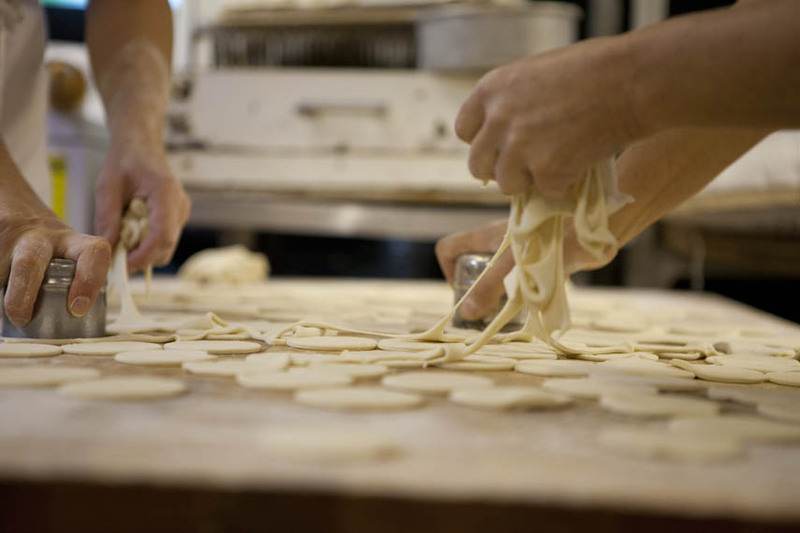 Fresh tortillas are made daily at "food wizard" Jason DeBriere's Mexican restaurant. After working at many different delis in New York, Abe Lebewohl opened his own in 1954. Order a crêpe and a café au lait before work, a croque monsieur at lunch, or some vin rouge with dinner. Consistently excellent and inventive, Peacefood Café serves a fully-vegan menu. Paolo, the owner, will make any guest feel at home for a three course meal or a simple cup of coffee. Nice Matin is like a chic carnival ground with bright lights and colorful art on the walls. Delicious and well-rounded breakfast spots with early morning hours and transportable goodies. Enjoy some of the freshest eats in Manhattan, sourced from the nearby Union Square Greenmarket. This location of Irving Farm offers a wide range of food, thanks to the size of its kitchen. Decadent and noteworthy hotel dining spots offering morning meals to guests and visitors alike. End your evening basking in the old-world glow, and treat yourself to a signature porterhouse steak. Read more about all the Side Street breakfast spots!